The spark that lit my fire for midwifery was the awesome care I received from my midwife when I was pregnant with my oldest son. I remember thinking “Wow, you can do that as a job! How cool would that be!”. 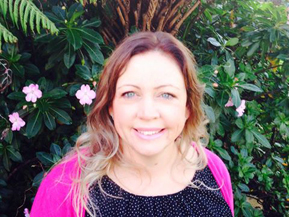 I am now an Independent midwife based in West Auckland and cover the whole of Waitakere and Rodney district up to Helensville. I have great confidence in women’s bodies and in the natural process of pregnancy, childbirth and the postpartum period. With a real passion for midwifery, my aim is to share knowledge and up-to-date information so women can make informed decisions, grow in confidence as mothers and as women and feel positive about themselves, their bodies and abilities. Women are the cornerstone of society, by promoting wellness in women, you promote wellness in the family and thus in the community. I think it is important that women are able to labour and birth in the environment that they feel the most relaxed and comfortable, because of this I offer both homebirth and hospital midwifery care and have access agreements to Waitakere Hospital, North Shore Hospital and Helensville Birthing Centre. I am a member of the New Zealand College of Midwives and the Auckland Homebirth Association. You can find Arlene at holisticmidwife.co.nz.